sailboat. : Bookshelf: Three New Books. Anywho, I haven't read the other two but I have read Trainspotting. I love it, although it's quite a difficult read as it's written in a scottish accent if you know what I mean. If you don't, you will understand from the very first page. I guess it's alot like reading A clockwork orange, it's like trying to get your head around another language... but it's so worth it. 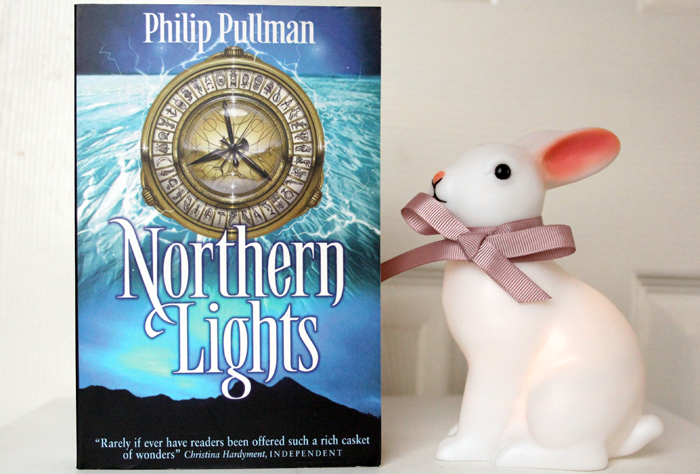 I read Northern Lights quite a few years ago, but I never really got into the story. I lost my interest about a third of my way into the second book. So the series wasn't really something for me. But hey, to each their own, I hope you'll enjoy the book a lot more than I did! 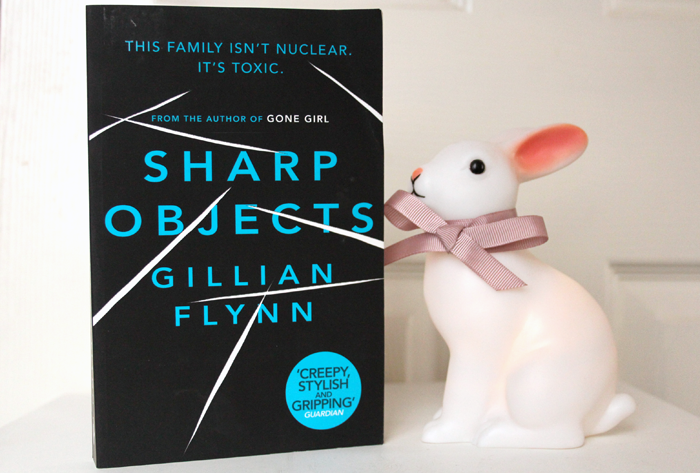 I've always been quite curious about Gillian Flynn's writing because of all the praise her books get. I have Northern Lights on my never ending list - I need to dig it out after i've finished The Memory Keepers Daughter. I'm a nightmare for always picking up books in a charity shops. They're always so cheap at 99p! Oh god the His Dark Materials trilogy were probably my favourite books as a kid, so so good! In fact I could probably happily read them again now... might dig them out from under my bed! 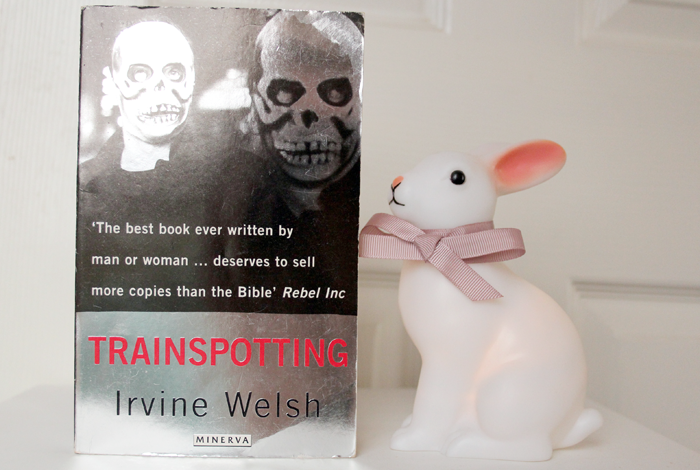 I really want to read Trainspotting! Its weird how you recognise a cover, I recognised Northern Lights, I always saw it in the school library displayed, but it ones of those ones you never really wanted to read when you were younger but should of. Glad to hear theres a review on gone girl coming soon , eager to hear your thoughts! Really looking forward to hearing your thoughts on all of these Jennie, especially Trainspotting. I adore Northern Lights, I really need to re-read it! That bunny lamp is so cute! I remember having to read the second book in His Dark Material's series for a drama exam and I've always wanted to go back and read the first one so I understood it more, maybe I should now you've reminded me! 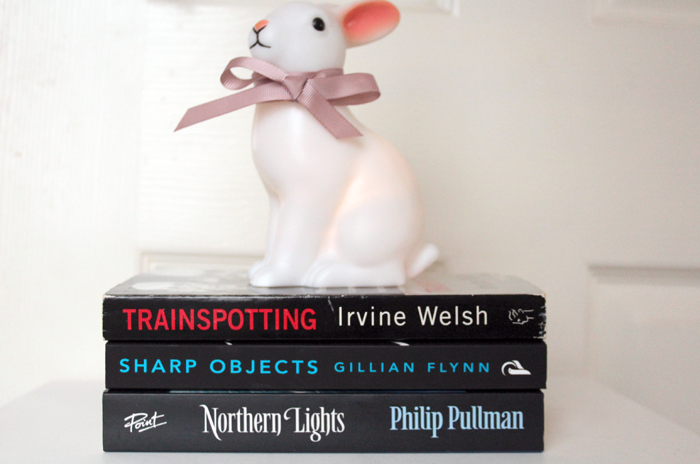 cute rabbit and interesting books! Interesting books. I will definitely check some of these out! Philip Pullman did that His Dark whatever trilogy right? I remember loving them! Also let us know how trainspotting actually is, I LOVED the movie. I really didn't enjoy Gone Girl, hopefully Sharp Objects is better... Think Gone Girl was way too hyped up! And I know what you mean about Trainspotting and needing to be in a certain mood, I'm exactly the same! I love reading, I wish I had more time to do it though! I've never read Northern Lights, but I think it's on my must-read list! Northern Lights is such a good book! Just avoid watching the film version as it is pretty awful, unfortunately!